Welcome to our website where we hope you will find all the information you require in considering whether our hall would suit your occasion. 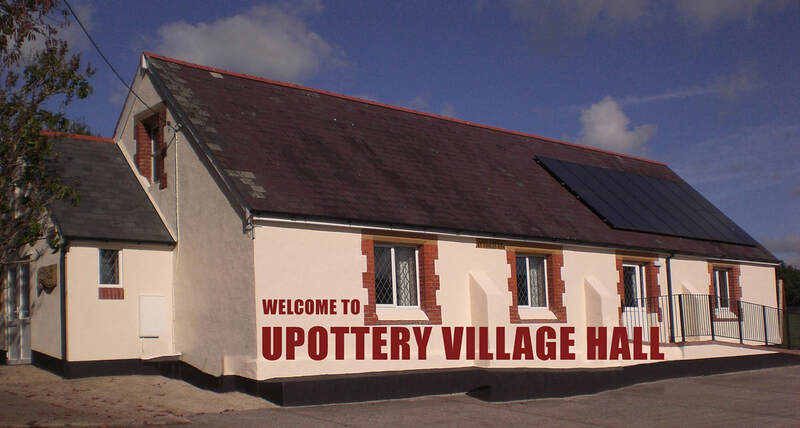 Beautifully located in East Devon in the Blackdown Hills Area of Outstanding Natural Beauty, Upottery has easy access to the A303 and thus to Exeter Airport (15 minutes) as well as the M5 (30 minutes) and is five miles from Honiton and fourteen miles from Taunton. The village has a beautiful church, thriving pub and a wealth of holiday and bed and breakfast accommodation and is a lovely area for walking and cycling. We aim to provide a well-run, friendly hall and make every effort to accommodate your special requirements so please get in touch if there is anything you would like to discuss.